Your Users Have Left the Perimeter. Are You Ready? Home » E-Books » Your Users Have Left the Perimeter. Are You Ready? Not long ago, even the most astute executives couldn’t fully anticipate how quickly emerging technologies would transform their business operations — and even their business models. Employees today work anytime, anywhere while accessing applications and data that reside on company servers and in the cloud. Despite this transformation, security tools and processes are still designed for more-controlled and static work environments; they fail to address some of the risks that accompany roaming workers and their evolving habits. To gain better insight into today’s work practices and risks, IDG Research Services surveyed IT security decision-makers (ITSDMs) as well as end users to gauge VPN usage. 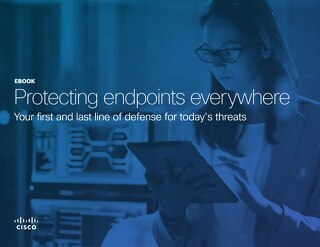 Download the white paper to learn several security capabilities identified by IDG that, if available, could prove extremely valuable in reducing the risk of off-network laptop usage. Get out of firefighting mode and in control. 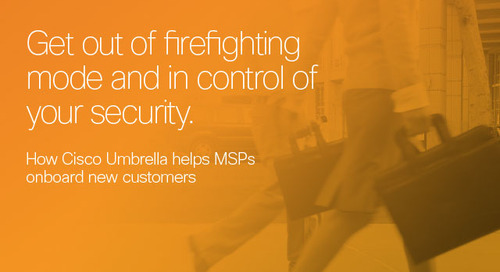 Learn how Cisco Umbrella helps MSPs onboard new customers. The traditional hub-and-spoke wide area network (WAN) model is dying. 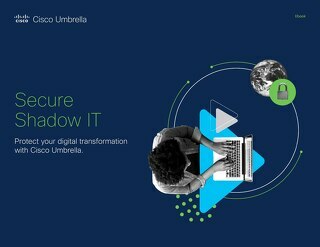 Uncover and block unsanctioned apps across your enterprise with App Discovery and blocking by Cisco Umbrella. Gain visibility of cloud services in use and block risky apps to improve security with three easy steps. 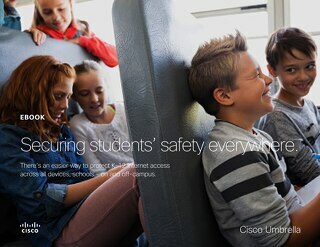 Find out why security built into the foundation of the internet is better able to provide visibility into student and staff internet activity across devices, on and off-campus. If you’re not protected, it can cost you in all kinds of ways. 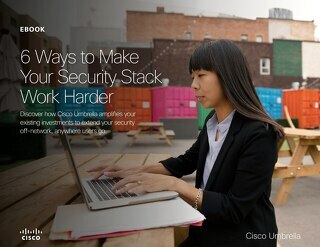 Find out how to protect your network and your valuable resources in this e-book. Gain fresh insight into how service providers (SPs) are grappling cloud adoption and its sharp impact on network security. 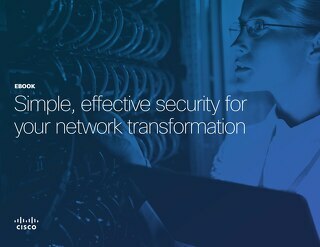 See how SPs are evolving with a Secure Internet Gateway (SIG) and more. 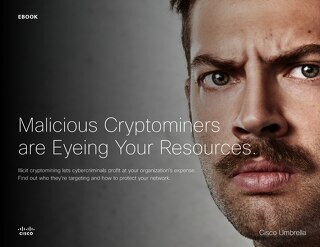 Malicious Cryptominers are Eyeing Your Resources. 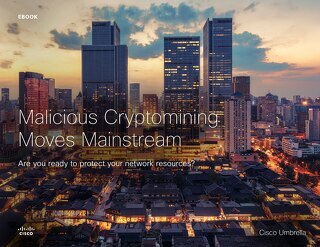 Find out who they’re targeting and how to protect your network. 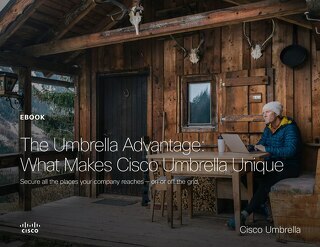 Discover how Cisco Umbrella amplifies your existing investments to extend your security off-network, anywhere users go. 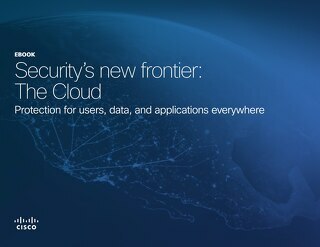 Not all cloud security solutions are created equal. You’ll want to look for a solution that meets the needs of today’s mobile, cloud-connected workforce, and is easy to manage on a day-to-day basis. As threats like ransomware continue to evolve, healthcare IT professionals are turning to the cloud to reduce risk and protect valuable patient, staff and user data. Find out how to quickly and easily secure this traffic. 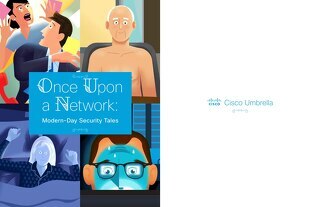 Get the story straight: Cisco Umbrella offers easy deployment, reliability, threat intelligence and the power of Cisco’s portfolio of complete solutions. Read PDF. 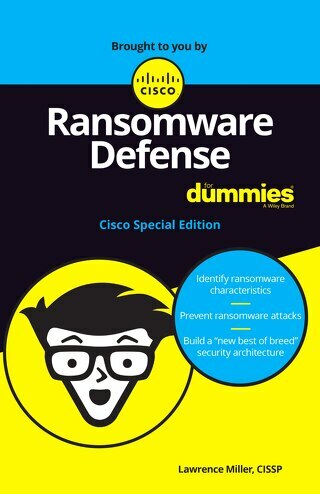 Get the essentials on ransomware attacks facing the healthcare industry — including how they work, why they’re so malicious, and the best way to protect your organization. 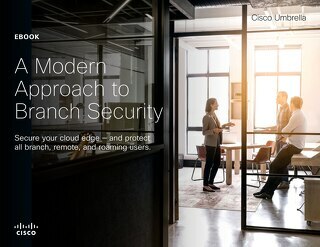 See how a secure internet gateway helps you tackle the challenges of mobility, SaaS, and branch transformation. Read the ebook. Ransomware is big business. 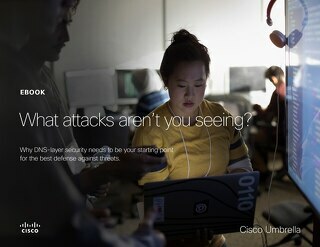 Don’t let an attack bring your business to a screeching halt. We work everywhere: at home, in the office, airports, coffee shops yet traditional security solutions still focus on protecting employees only while on the corporate network. Remote, on-the-go users mean security teams are more challenged than ever.